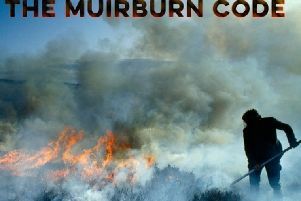 Following on from the success of its national tour earlier this year, Sequamur, the highly acclaimed Gaelic World War One theatre production, will be at the Edinburgh Fringe Festival from the 18th to the 24th of August5. Pròiseact nan Ealan (The Gaelic Arts Agency) are also delighted to announce that the production will stage performances at the East Belfast Arts Festival in Northern Ireland, the Platform Theatre, London, before concluding the tour with a special performance in Ypres, Belgium. Sequamur - written by Isle of Lewis writer Donald S. Murray – tells the poignant story of William J. Gibson, who was Rector of the Nicolson Institute in Stornoway between 1894 and 1925. The play portrays the grief and guilt felt by Gibson who encouraged his pupils to fight in the conflict. An enlightened and charismatic teacher, Gibson believed in the power of progress through education. He genuinely believed that service in WWI would bring a new enlightened age to Britain - but endured personal turmoil following the death of 148 of his own pupils. The play is being staged by Pròiseact nan Ealan who are grateful for significant support from Creative Scotland, Bòrd na Gàidhlig, the Scottish Government, Comhairle nan Eilean Siar, Colm Cille & RBS. The 60 minute play is performed in Gaelic but is designed to be fully accessible to all, with live simultaneous translation via headphones for people who do not speak Gaelic. Erica Morrison, Creative Director at Pròiseact nan Ealan said: “The international audiences which attend the Edinburgh Festival will discover a thought provoking drama which transcends language boundaries. “The play echoes events which occurred in our Gaelic community, yet it mirrors similar events which were happening in communities across Europe.